The Garden Plot: GMG's Friday Find: Take the Guesswork Out and Put the Plants In! GMG's Friday Find: Take the Guesswork Out and Put the Plants In! Looking at your empty containers wondering what to plant this year? 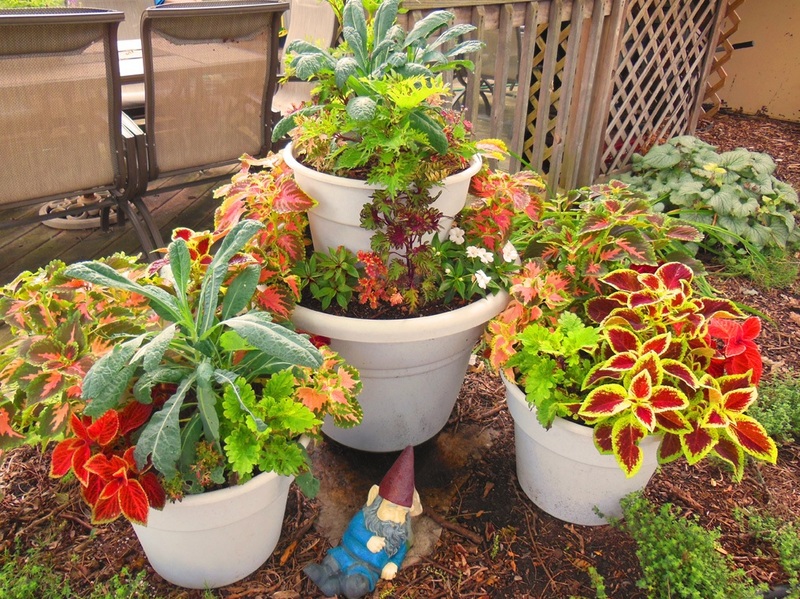 Rather than being discouraged or confused, think of your container as a blank canvas that by mid-summer can be filled to the brim with colorful flowers or delicious fruits and vegetables. Not the artistic type? Then take advantage of a garden center workshop near you for inspiration and know-how and quickly learn the dos and don'ts for a successful garden and stunning containers. 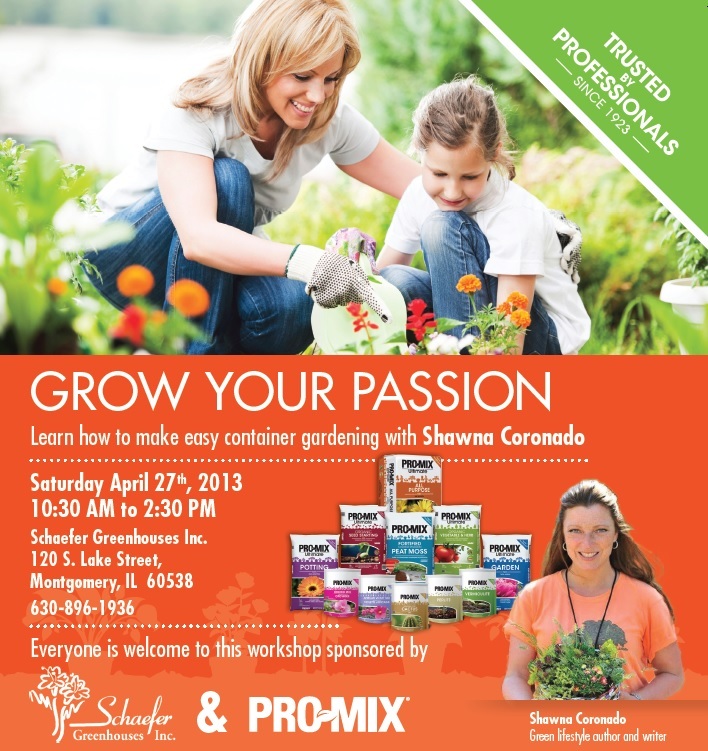 For example, Schaefer Greenhouses in Aurora, Illinois, is a hosting a workshop with garden and lifestyle writer, Shawna Coronado, TOMORROW, April 27th from 10:30-2:30. Shawna can help you turn your flower/veggie vision into reality. What growing mix is best to use that provides continual nourishment and a healthy environment, like PRO-MIX which has patented Myco-Active plant food and water-saving gel right in the mix. Wait, a pizza container you say? Shawna will teach gardeners which herbs are best for your individual pizza taste and how to grow them. But the best thing about this container is that children love to participate and they can be the 'farmer' who plants and waters these plants. Teaching them the joy and satisfaction of watching plants grow and then creating a delicious recipe from them is invaluable. And one of the best advantages in participating in a workshop is leaving with everything you need to get started on your way to a season of plenty, from beautiful flowers to the freshest herbs and veggies; and maybe, if you're lucky, you can walk away with a demonstration container! Now that's a few hours well spent. 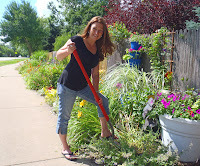 Look for workshops in your area and take the guesswork out and put the flowers and veggies in! You'll soon learn that there's not much you can't grow in a container. Happy Gardening!